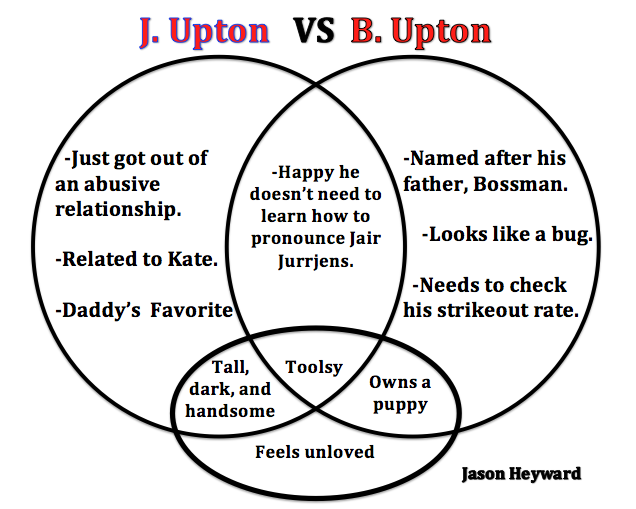 Now that Justin Upton finally got traded the Braves have two Uptons. Things might get a little confusing in the ATL, but no need to worry CFB is here to help. This entry was posted in Names Are Funny, Uncategorized.